Choosing which city is the best to live in is always a challenge. It really boils down to what you want. For this article we put our focus to the west of the United States. There are several great places to call home in this area, and Albuquerque New Mexico is on the top of the list. Movers.net heads out West and tries to determine if Albuquerque is a good place to call home. If you have been thinking about moving out West, you might want to take a closer look at what this article has to say. Albuquerque is located right in the middle of New Mexico, and it is the largest city in the state. The city sits right on the edge of the Rio Grande. This river is over 2000 miles long, and snakes its way through several states and Mexico. Albuquerque is home to beautiful desert landscapes, rivers, mountains and valleys. 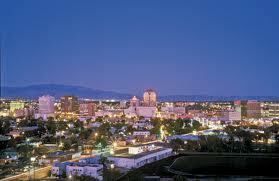 Albuquerque may be the largest state in New Mexico, but it is not the largest city in the United States. It consists of just over 181 square miles of land and water. Most of it is land, and just under one square mile is water. There are currently over half of a million people that call Albuquerque home. If you include the surrounding population, that number rises to almost 1,000,000. You will find just over 3000 people per square mile. Albuquerque is pretty crowded. If you are looking for a place to live where there is very little rain, then Albuquerque is perfect. It currently only gets around eight or nine inches of rain each year. Spring and Fall are warm, and the summer can get really hot. Winters in Albuquerque can be mild, but most of the time they are uncomfortable. In December of 2006, Albuquerque had a snowstorm that produced as much as 26 inches of snow in some areas. If you are moving to Albuquerque, make sure you bring some nice warm clothes. The cost of living in Albuquerque is a little bit lower than the rest of the United States. A mid-range meal for two at her restaurant costs under $40. One meal at a fast food restaurant costs under six dollars. A loaf of fresh bread is only right around two dollars, and you can buy a dozen eggs for less than that. Fresh poultry is right around $2.50 per pound. Fresh fruits in Albuquerque are the most expensive. You can expect to pay as much as three dollars per pound on apples. The average monthly utility bill is pretty cheap too. It is less than $150 per month. A one bedroom apartment in the city will cost right around $650 per month. A three bedroom apartment in the city, will cost much more. You can expect to pay right around $1200 per month for three bedroom apartment. The same apartment outside of the city, will only cost right around $850 per month. The average monthly salary in Albuquerque is right under $2000 per month after taxes. Living in Albuquerque is much cheaper than a lot of cities in the United States. If you don’t mind the desert landscape and the cold uncomfortable Winters, it might be a great place to call home. Previous Previous post: Should You Move To Jacksonville? Next Next post: Don’t Wait Until The Holidays To Move!